After their liberation in April 1945, the inmates of Buchenwald told their stories to a special team of U.S. Army intelligence officers. One of the most important and unique documents of the Holocaust, this priceless eyewitness account was nearly lost forever and appears here in published form and in English for the first time. In the closing weeks of World War II, advancing Allied armies uncovered the horror of the Nazi concentration camps. The first camp to be liberated in western Germany was Buchenwald, on April 11, 1945. 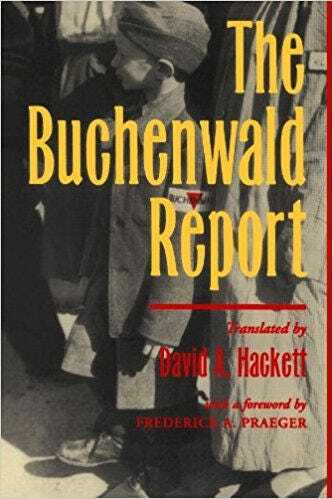 Within days, a special team of German-speaking intelligence officers from the U.S. Army was dispatched to Buchenwald to interview the prisoners there. In the short time available to them before the inmates' final release from the camp, this team was to prepare a report to be used against the Nazis in future war crimes trials. Nowhere else was such a systematic effort made to talk with prisoners and record their firsthand knowledge of the daily life, structure, and functioning of a concentration camp.